TeamAICR members come from all over the country, and from all walks of life, but they all have one thing in common: a deep commitment to ending cancer. Many of our members have personally been affected by cancer and it has made a lasting impact on their lives. 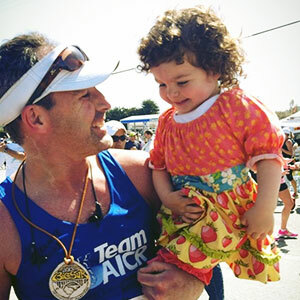 By joining TeamAICR, you're not just running a race, you're taking action and working toward a cancer-free future. To learn more about our events, click on the event you're interested in. If you have any questions, don't hesitate to email our friendly events coordinator at events@aicr.org. Race through the streets of London in the largest marathon in the third largest running event in the UK. Rock out with TeamAICR for the 20th anniversary of the Rock ‘n’ Roll Marathon Series! Choose from any of the 23 events in North America and receive a unique commemorative medal at the finish line. A course infused with live bands, cheer teams, and excitement, The Rock n Roll Marathon is sure to keep you rockin’ for all 26.2 miles! 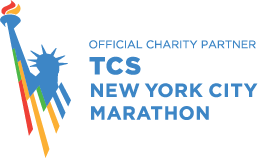 The New York City Marathon has grown from a Central Park race with 55 finishers to the world's biggest and most popular marathon, with nearly 50,000 finishers in 2015. Join TeamAICR on the 26.2 block party course through one of the most diverse cities in the country. Say Auf Wiedersehen to your old personal record in the Berlin Marathon! Run through the windy city and enjoy spectacular views of Chicago architecture and the beautiful Lake Michigan! The American Institute for Cancer Research and TeamAICR are excited to continue our partnership with Coach Seth Kopf, owner of Kopf Running. Kopf Running is an endurance coaching company that specializes in working with charity athletes. Coach Seth provides customized training programs for any distance race as a certified running coach through USA Track & Field and the Road Runner’s Club of America. He has run numerous marathons, including 7 Chicago Marathons, his hometown race. Coach Seth creates programs personalized to the individual, and the programs are easy to follow – for both the beginner and experienced runner. Through Kopf Running, TeamAICR athletes are receiving complimentary, virtual training programs. Whether you are participating in your first marathon or attempting to qualify for the prestigious Boston Marathon, Seth will work with you on a plan aimed at accomplishing your goals. Along with a training plan, team members will receive weekly training and nutrition tips and Ask the Coach email and phone support. "I really enjoy working with charity runners – they have such inspirati onal stories of why they are taking on the challenge of a marathon. When looked at as a whole, training for a marathon can seem overwhelming. I take a simplistic approach – one day at a time, one foot in front of the other until you reach the finish line. I am really looking forward to once again working with TeamAICR athletes and welcome any and all questions!" * Training programs are complimentary for TeamAICR runners participating in the Bank of America Chicago Marathon, TCS New York City Marathon and Marine Corps Marathon. Individuals participating in other races can still use Kopf Running's services at a discounted rate. Venture to our nation's capital and see the national monuments! This new marathon takes runners up and down the streets of San Francisco and includes an epic run across the Golden Gate bridge.